testing bitumen equipment and refining of bitumen emulsion formula with certain emulsion components and for the intended emulsion application. 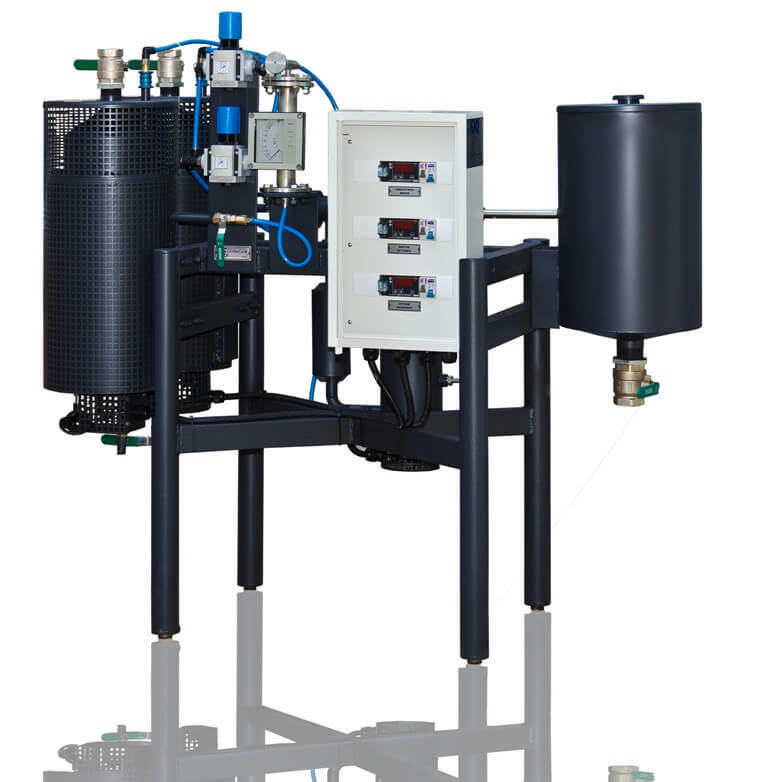 This unit can be supplied in addition to the UVB-1 bitumen emulsion production unit or as a stand-alone product. This product is designed for testing of known formulas for emulsion, primers and liquid rubber. It can also be used for the development of new materials and emulsifiers and the corresponding research and experiments. The unit can be used by petrochemical facilities for optimization of modified bitumen production process, determining the required amount of modifying additives and using the prepared bitumen batch as a laboratory sample. The UVB-2-L bitumen modification lab unit is designed for preparation of small samples (no more than 10 liters per batch) of modified bitumen. development of new bitumen emulsion formulas for various applications.